People say they love chocolate, but true chocolate – dark and bitter– doesn’t taste like what the word “chocolate” might bring to mind for many people. They’re really saying they love the tasty concoction of sugar and fat. Vox’s recent and awesome investigation into the health claims behind chocolate point this out as well. The investigation emphasized sensationalized headlines and gave luxury chocolate candies with added superfoods like avocado or bacon a literary brow beating. Not to dismiss all health ties, the Vox report acknowledged the potential link between certain phytochemicals in chocolate and blood pressure health. Here we’ll dig deeper into chocolate processing, discuss how phytochemicals in chocolate work, and highlight some research findings in a bit more detail. In chocolate manufacturing, raw cacao beans are fermented, ground, and roasted at high temperatures to become cocoa. So cacao is used to make cocoa. The roasting process can result in significant antioxidant loss (1). 100% dark chocolate is also known as chocolate liquor or baker’s chocolate. In contrast, milk chocolate, the stuff most Americans favor, is a combination of cocoa, sugar and milk products. By FDA rules, a product must contain at least 10% chocolate liquor to be labeled "milk chocolate". In terms of health, the nutritional benefits of chocolate products come from the cacao. 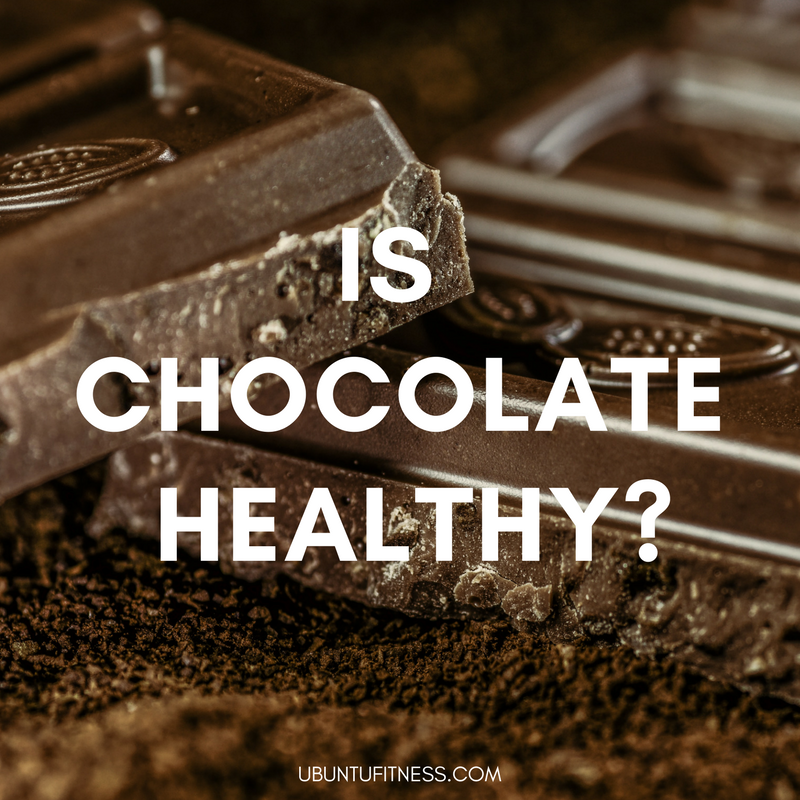 So if roasting causes antioxidant loss and milk chocolate could contain just 10% cacao, then one must wonder how much chocolate do we eat for it to be “healthy? Chocolate has been tied to a wide range of (mostly questionable) health claims like weight loss and anti-aging. One common headline is that chocolate products are a rich source of polyphenols, a group of antioxidants. Cocoa-based polyphenols are thought to increase nitric oxide, the primary compound that causes our blood vessels to dilate (1). By aiding dilation, nitric oxide is important for blood pressure regulation. High blood pressure can be attributed to a stunning 50% of cardiovascular events worldwide (1) and cocoa polyphenols have been investigated as a means of reducing blood pressure. Subgroups of polyphenols, called flavanols and epicatechins, were the focus of a 2016 review paper titled Impact of Cocoa Flavanols on on Cardiovascular Health (1). Scientists reviewed the cardiovascular effects of cocoa at varying levels of consumption and wanted to determine what level of these antioxidant groups could have an effect on health. They found a cacao bean can be up to 18% of dry weight polyphenols (1). In addition, cocoa products with 100 mg of epicatechin improved flow mediated dilation - a clinical measure of blood vessels’ ability to dilate (1). Products containing 900 mg flavanols decreased blood pressure depending on the person and how long the cocoa products were consumed over time (1). Yeah yeah enough with the epicatechin stuff, how much chocolate is this!? This equates to 50 to 500 g of dark chocolate, or about 2 to 20 oz. For reference, a “fun size” Hershey’s chocolate candy is 0.45oz. So this may sound like a high level of consumption would be needed but it can be done (well sorta). From an ancestral perspective, the Kuna Indians in Panama and Colombia consumed 600-900 mg of flavanols per day and have low rates of cardiovascular disease (2). They drink more than 5 cups of flavanol-rich cocoa per day and cocoa is found an as ingredient in many of their other recipes. Another review paper published in 2017 titled Effect of cocoa on blood pressure reviewed 40 unique scientific studies on the effect of cocoa-based products on blood pressure in adults with or without hypertension. Note: seven of these studies were industry funded, meaning they likely had a role in developing the methods of how the studies were carried out. In these studies, healthy adults consumed anywhere from 30 to 1218mg of flavanols in 1.4 to 105 grams of cocoa or a no to low flavanol (6.4-88mg flavanol) control for about two weeks. On average blood pressure was reduced by 1.8 mmHg (3), which was found to be a statistically significant difference. While it may sound like a modest reduction, it could have some impact at the public health level. The subjects’ baseline blood pressure health also mattered. For pre-hyperstensives and those with normal blood pressure, not much of a change was observed. For hypertensives, systolic blood pressure was lowered by 4 mm Hg (3), the metric the American Heart Association considers the bigger heart disease risk factor for people over 50. As Vox concluded, industry funding has played a massive role in shaping the nutrition messages around chocolate. Of note, once reviewers eliminated studies in this review with industry funding, the evidence for cocoa flavanols decreasing blood pressure weakened - 33 of the 40 trials were industry funded, revealing a reporting bias. Hm. The difference in methodologies between industry and non-industry funded papers reveals a wide range of dosing protocols. 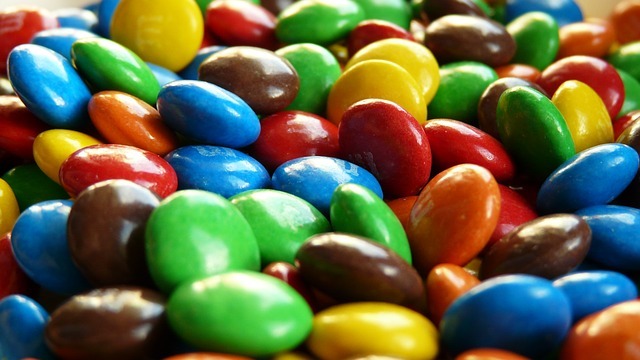 Most consumption methods varied from cocoa powder or drinks, cocoa tablets, chocolate bars and M&M candies. The majority of industry-funded studies had subjects drink a high-flavanol cocoa beverage with the control being a low-flavanol version. One of these studies had participants consume the beverage, followed by exercise, which could certainly throw off results as exercise can help decrease blood pressure. Another of these studies selected healthy young male soccer players as their test subjects (4). This seems a little ridiculous considering over time, some players could have seen a reduction in blood pressure as their season and training progressed. For the non-industry funded studies, the majority of participants consumed dark chocolate with white chocolate being the placebo. Obviously, the placebo-effect could play a big part here since participants would know whether they were receiving the real deal chocolate (because it’s not white?!). Chocolate and cocoa are trumpeted in the media for being one of those guilty pleasures that carry big health benefits. In looking at the big picture, removing the industry bias shows these studies did not reduce blood pressure to a point where a hypertensive could stop taking their medications and so consuming large amounts of cocoa products regularly does not make sense as an medical intervention. Yet with all the hype, a patient with hypertension and even health professionals can see these headlines and hurry off to buy some low quality, high sugar chocolate and think it's helping them. Not so fast. Dark chocolate may confer a modest reduction in blood pressure and improvement in blood vessel health but treating hypertension for many means a diet and lifestyle makeover along with medications until their blood pressure is under control. In the context of a healthful diet, plenty of sleep and physical activity, there’s nothing wrong with some dark chocolate as a dessert or small addition to meals, and can be part an overall lifestyle change to help people become healthier. Vlachojannis, J, et al. “The Impact of Cocoa Flavanols on Cardiovascular Health.” Phytotherapy Research : PTR., U.S. National Library of Medicine, 1 July 2016, www.ncbi.nlm.nih.gov/pubmed/27363823. Hollenberg, N. “Vascular Action of Cocoa Flavanols in Humans: the Roots of the Story.”Journal of Cardiovascular Pharmacology., U.S. National Library of Medicine, 2006, www.ncbi.nlm.nih.gov/pubmed/16794463. Ried, K, et al. “Cochrane.” Effect of Cocoa on Blood Pressure, Cochrane, 25 Apr. 2017, www.cochrane.org/CD008893/HTN_effect-cocoa-blood-pressure. González-Garrido, J A, et al. “An Association of Cocoa Consumption with Improved Physical Fitness and Decreased Muscle Damage and Oxidative Stress in Athletes.” The Journal of Sports Medicine and Physical Fitness., U.S. National Library of Medicine, Apr. 2017, www.ncbi.nlm.nih.gov/pubmed/26632851.